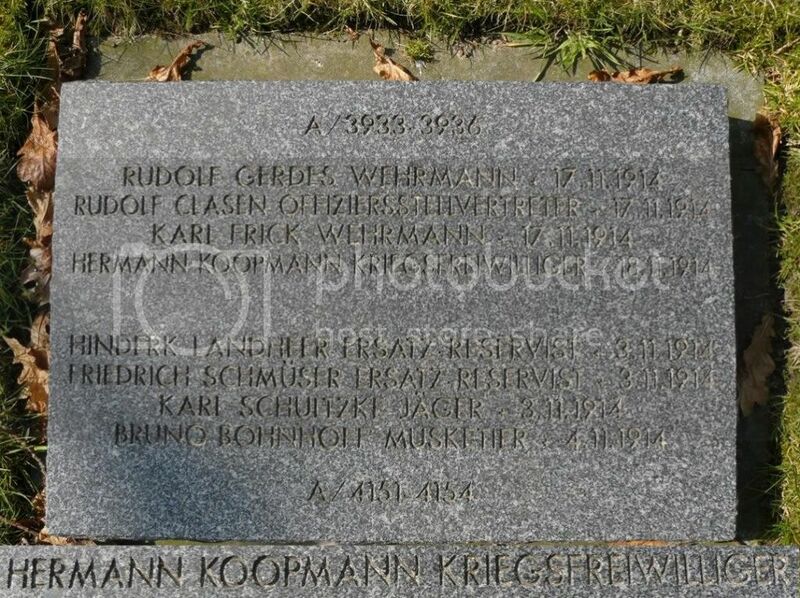 Hermann Koopmann was born in Oldenburg on May 7th 1893, the son of a railway administrative official. His family had just moved in the region a few weeks before his birth, he grew up there with his 3 brothers in comfortable middle-class surroundings. 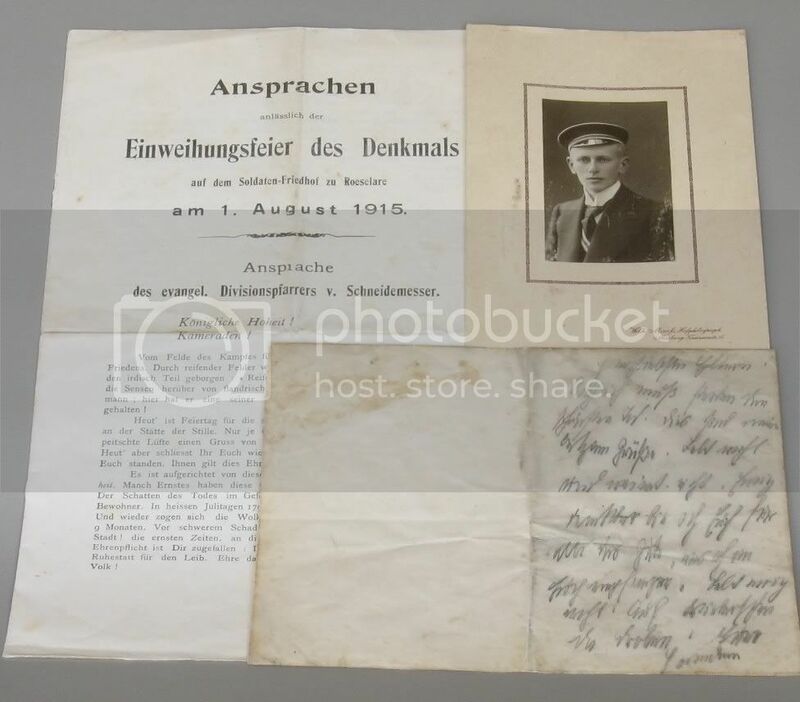 They were raised believing that they could accomplish anything they wanted in life, their father (Johannes) stressed the need for a good education and they were encouraged to attend institutions of higher learning, but the war came and shattered all those dreams. At the outbreak of hostilities, the early German youth movement did not hesitate to wholeheartedly embrace the Empire's entry into the conflict. War was viewed as highly idealized combat and struggle in battle as natural and organic need. Thousands of German university and technical college students volunteered enthusiastically for the army. Poorly prepared they were sent into action after less than seven weeks of training – much of it from elderly Officers of the Reserve who had little idea of the killing power of modern artillery and machine-guns. 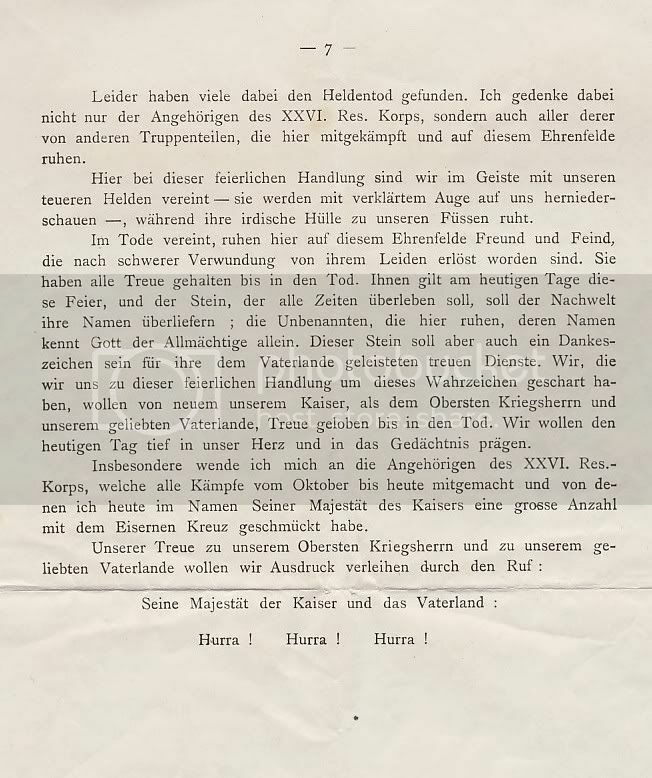 Instead of being divided up and sent to different units, almost all these volunteers and other reservists went to make up the numbers in the hastily reformed German fourth army. 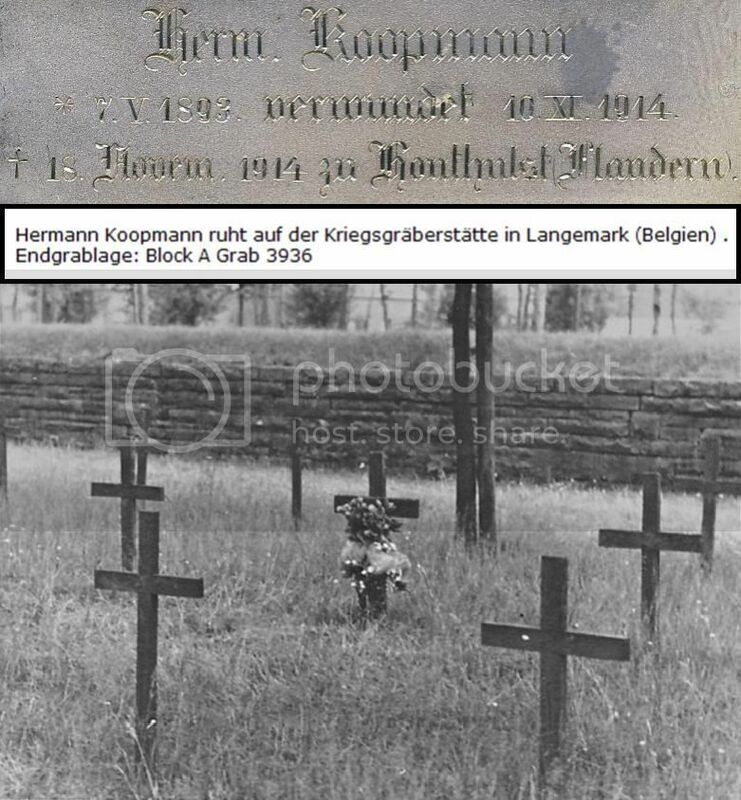 Hermann Koopmann, a 21 years old “Kriegsfreiwilliger” and law student at Marburg University found himself on the road to Flanders Fields along with his fraternity brothers( and classmates to experience their baptism of fire as soldiers of XXVI. Reserve Corps. ( As long as there have been universities in Germany, the students have banded together into associations like Burschenschaft and Corps, those different groups can be separated by their style of uniform, hat, and a brightly coloured sash done in the colors of that fraternity. The Corps were the most inclusive of student organizations with their houses, ritualized practices and stringent codes of conduct which often included duelling but always demanded consuming large amount of beer. They were elitist, nationalist, conservative and, with varying degrees of explicitness, anti-Semitic in thought and action. Hermann is shown here wearing the (green) cap and (coloured) sash of Corps Hasso-Nassovia Marburg. One interesting story is that student volunteers were often seen wearing their caps on the battlefield instead of the regulation spiked helmets! After numerous losses in the Battle of the Marne and the collapse of the Schlieffen Plan in September 1914, the "race to the sea" began. Over the course of this race, the Fourth German Army advanced in the direction of Ypres. On November 10th 1914, the ill-fated German infantry regiments of XXVI. Reserve Corps suffered catastrophic casualties while launching badly prepared attacks against British army positions west of Langemarck and were shot down and slaughtered by experienced British riflemen. Hermann was mortally wounded during the assault and died 8 days later at the Houthulst forest. WTB [Wolff Telegraph Service]. Berlin, November 11. Report from General Headquarters. On the Yser section of the front we made good progress yesterday. We stormed Dixmuiden. Approximately 500 prisoners of war and about nine machine guns fell into our hands. Further to the south our troops forced their way over the canal. To the west of Langemarck our young regiments attacked, singing “Deutschland, Deutschland über alles” while advancing against the enemy lines and taking them." From this announcement, the basis of a long-lasting and influential myth was formed. 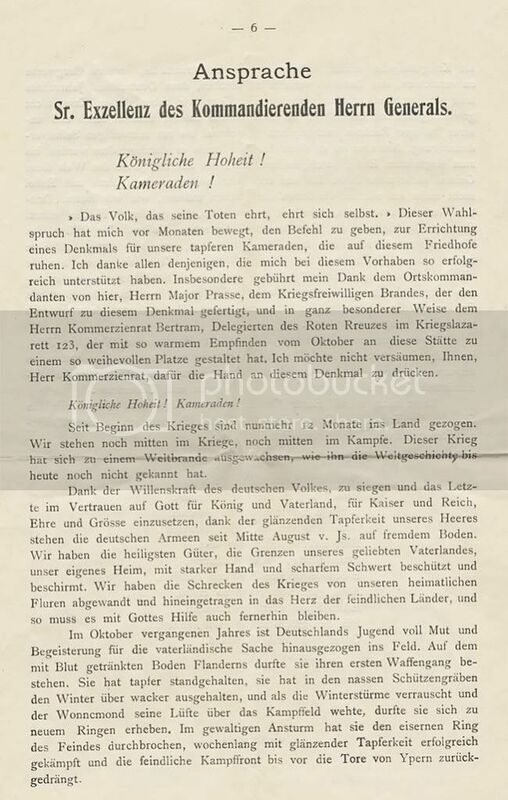 Legend has it that the young infantry soldiers sang the first stanza of the song “Das Deutschlandlied”, as they charged and marched to certain death, the event became known in Germany as “KINDERMORD VON YPERN” (The Massacre of the Innocents at Ypres). The young victims were regarded by their surviving peers as symbols of a tremendous sacrifice for the nation and the youth of future German generations. The fallen symbolized the triumph of youth. They were not really dead but were sleeping in the lap of Christ, according to pictures widely distributed at the time. Hartelijk dank voor de tip naar deze prachtige site. Een mooi document om aan mijn leerlingen ook een persoonlijk verhaal 'vanuit Duitse zijde' mee te geven. 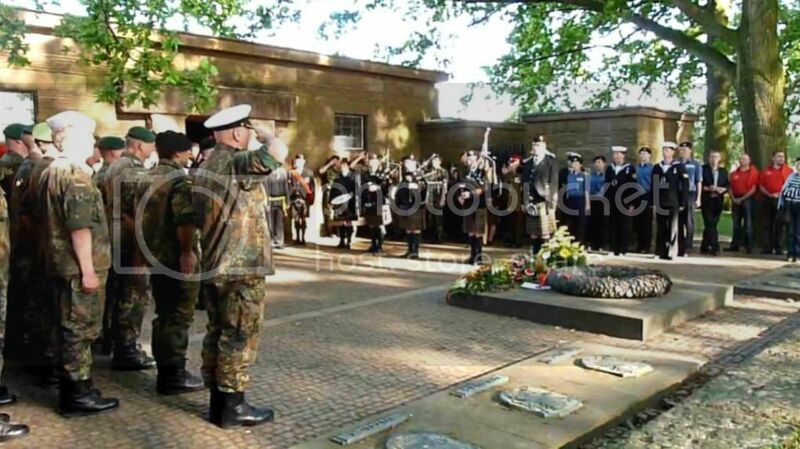 Ansprachen anlässlich der Einweihungsfeier des Denkmals auf dem Soldaten-Friedhof zu Roeselare am 1. August 1915. 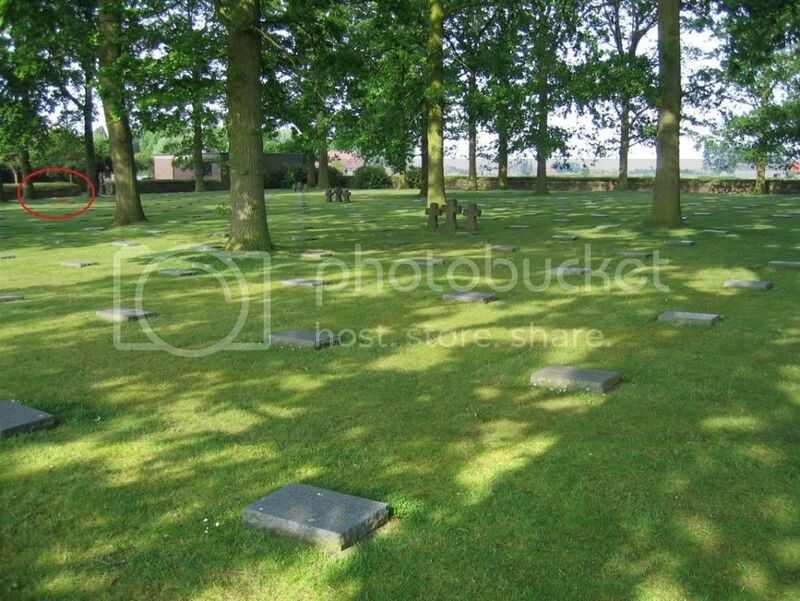 I have a special request for the members of this forum, if you ever visit the Langemarck cemetery, would you please take a photo of his grave site and Email it to me at: roberttremblay66@yahoo.com I will post it here. Thank you. Thank you! You own a magnificent site! I was just there a couple of weeks ago, but I'm might go this weekend. You are really too generous…. http://www.kaiserscross.com/ belongs to Chris Boonzaier, I only contributed the finished text and photos for the H. Koopmann article. This would be fantastic!!! I was not expecting such a quick response. If you’re going to return to the cemetery, I would also appreciate a better photo of his carved name (HERM. KOOPMANN) on the entrance building oak panels. 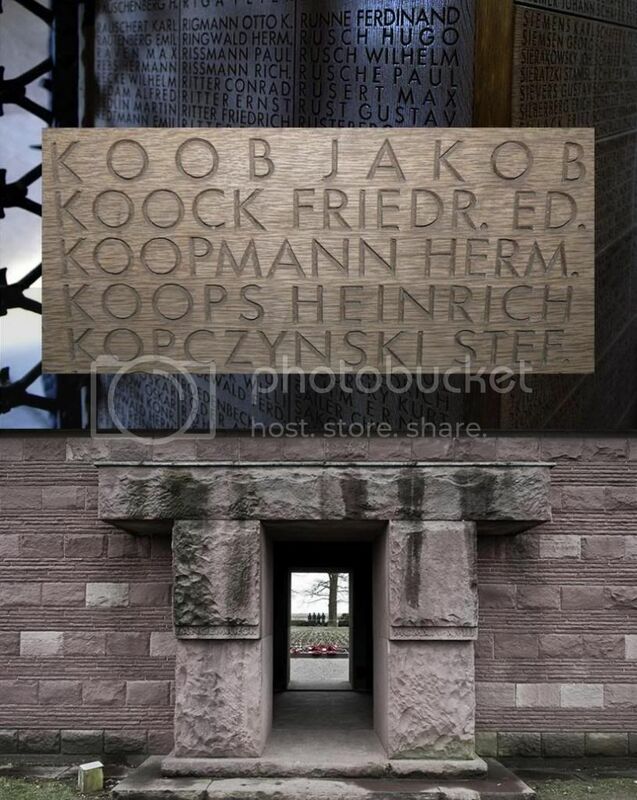 I sent some pictures to Robert of Hermann Koopmann at Langemark Cemetery. A thousand thanks to Filip for the excellent pictures. Filip, I've sent you an Email. 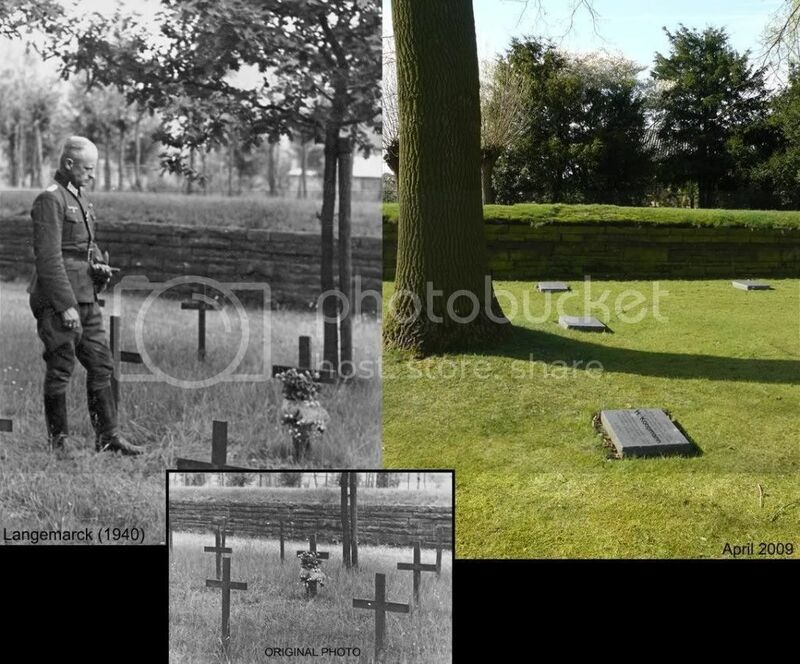 wonderful photographs depicting Hermann’s burial site. and consequently one comes to a sum of about 210,000 dead. 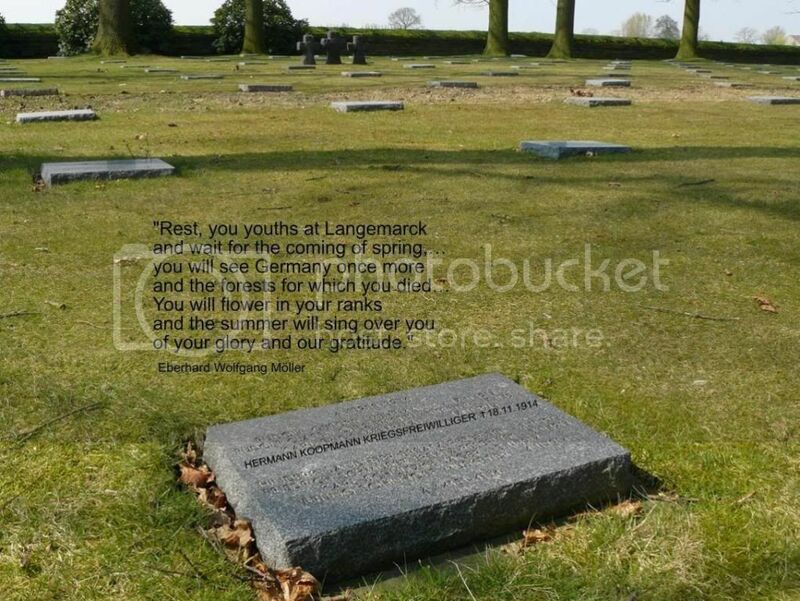 gravestone with seven other names on it. will certainly tell Hermann’s story to his tour participants. with red Weser sandstone and can only be described as cold and dreary. level; my experience has rendered me almost speechless. get it within ten days. all exited when I positively recognized Erwin resting on a large chair. acquire the picture along with the rest of the desecrated 2./IR90 album. assemble this stunning “THEN AND NOW”. Never to return to their unpredicted, unfinished lives. Never to return as mere mortals, but as wandering souls. Never to hear, see, and feel again. cast an oppressive shade on the scene. occasion of the 100 km March around Ypres week end. Peace reigned over the assembled audience remembering and paying their solemn respects to more than 44 000 German and 2 British WW I soldiers resting at this cemetery. Later that day, the Germans, the Brits and the locals merrily fraternized till the wee hours of the morning in the famous Fabienne's Klein Rijsel Café in Ypres!" Mooi om nog eens na te lezen op de zondagochtend.